Its crucial to understand a consumer path to clicking to conversions . 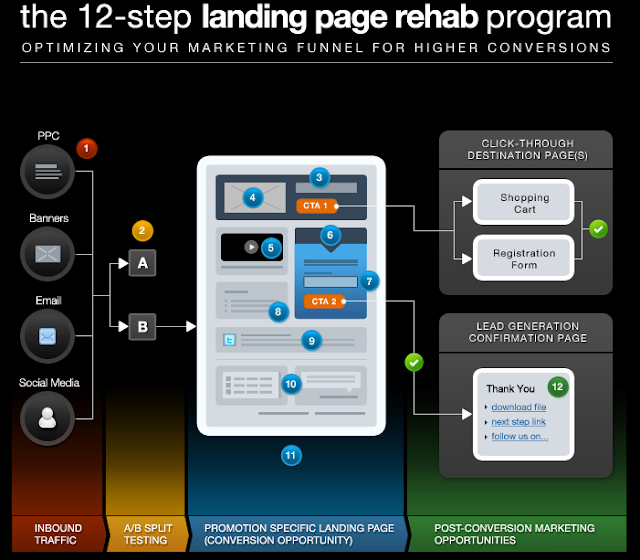 As you build on your landing pages and test your campaigns , your ultimate objective and goal would be to create a frictionless path to conversion. 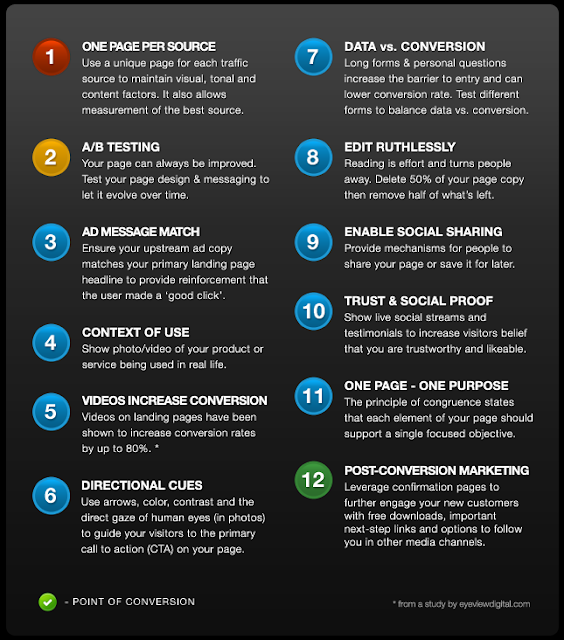 Here are some tips that you can follow to increase your conversion rate by increasing user engagement with your campaign goals. POWER OF LINKS : Link your pages in a conversion path which directs a visitor either laterally or download towards an action Provide obvious and easy navigation signs which is very clear which action a visitor should naturally like to take next Resist the urge to create too many click through on a page . AVOID BOUNCES :Avoid overloading your visitors with too many options which might confuse them resulting with a high bounce rate. Bounce rate refers to users who are entering and exiting from the same page. USER TESTING :Perform user testing after you think you have got the perfect landing page. This will help you create further opportunities for refinements and enhancement With the passage of time looks for trends of sources, CTA’s( call to action) landing pages ,using that analytics data to inspect conversion opportunities and roadblocks. MODELLING CONVERSION PATH: As you gain customers , model the path to conversions so that you can replicate those paths with other similar products by building similar campaigns Measure your attraction and conversion hypothesis as well as your business objectives versus your outcomes to determine your degree of success. one of the main asked question is how to measure the value of a link. 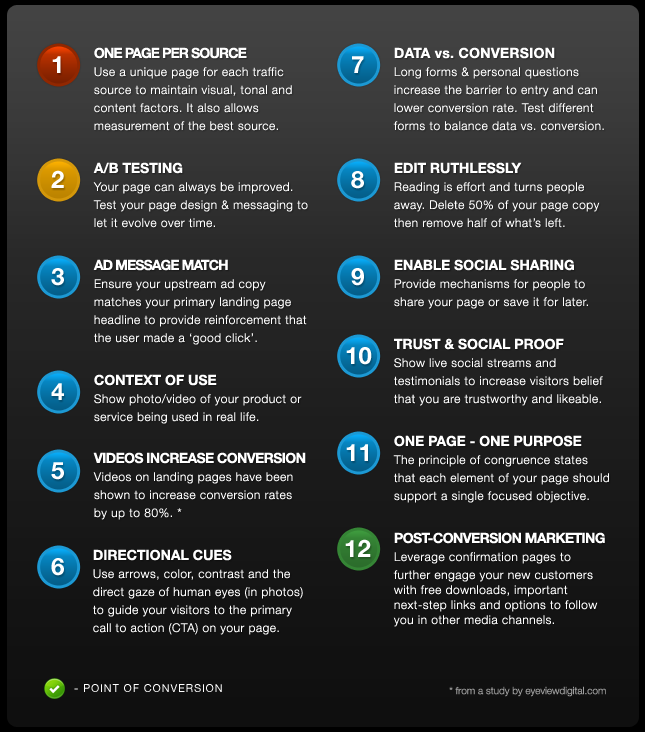 Among several factors,there are top 5 metrics which Google and Bing considers as holy grail. Here are some important metrics to look at to give you an idea on measuring link value ?  Link Authority : A link from an authoritative site is 10 times more worth as compared to just another site.For example if you have a news site, an inbound link fom CNN is considered much more important than just another news site. No Follow Links Be aware of "no follow" links. A" no follow" link means that google will not consider your "inbound links to pass on the link juice as as the webmaster has instructed crawlers not to treat the link as authoritative ,by using rel +"no follow"
For example for a b2b company, a conversion would be the number of users downloading a pdf, white paper or a infographic.For a job site,, it would probably be users who applied for aspecific job. 1)Search demand volume:Google Keyword tool, Wordstream conversion research tool, SEMrush keyword volume,Bing webmaster tool and Google insight tools are quite good and gives you an estimate for both short tail and long tail keywords. Keywordspy and spyfu are great tools to understand keyword volume and how much has been your traffic share. 4) Number of search results for your keyword: For knowing this you can use operators like exact search, or the :allintitle and "allinurl" to determine total search results. 2. )QUINTURA : provides interactive keyword data in the form of a cloud. 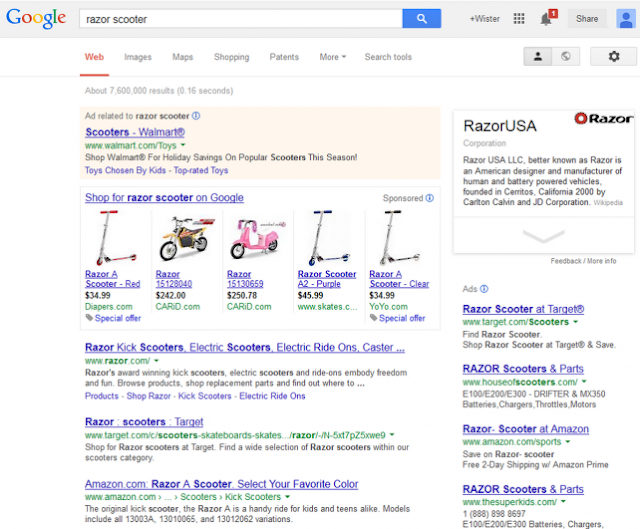 Along with a tag cloud also sits a traditional SERP pages. This visual tool can give you some great keywords along with phrases which you might have overlooked . Just watch the tag cloud, change its shape as it automatically changes its shape, with the most relevant keywords, grow bigger while the long tail grows smaller. 3. )GOOGLE SUGGEST ; you might be already familiar with this tool along with google keywords inventory research tool. 7)KEYWORD SPY : one of the best tool to research know your competitors keywords, including how much they have been spending on paid as well as organic searches besides giving you a ranking of your competitors as well as your own keywords. It has a paid version and a free version . 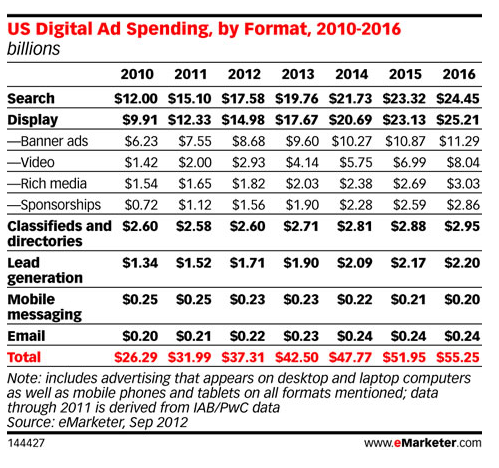 Online search | eMarketer: "Investment in search is expected to increase: eMarketer estimates $17.6 billion will be spent on search this year, a number that will rise to $24.5 billion by 2016, with mobile search advertising accounting for an ever-larger share." 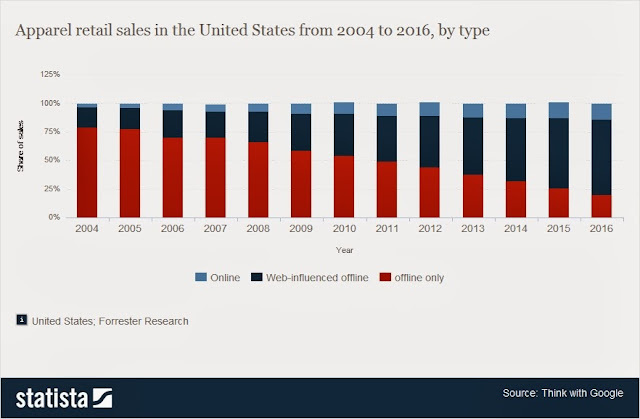 Meanwhile Global search ad spend rose 15% in Q1 2013 versus the previous year, according to the Kenshoo Global Search Advertising Trends report released today. 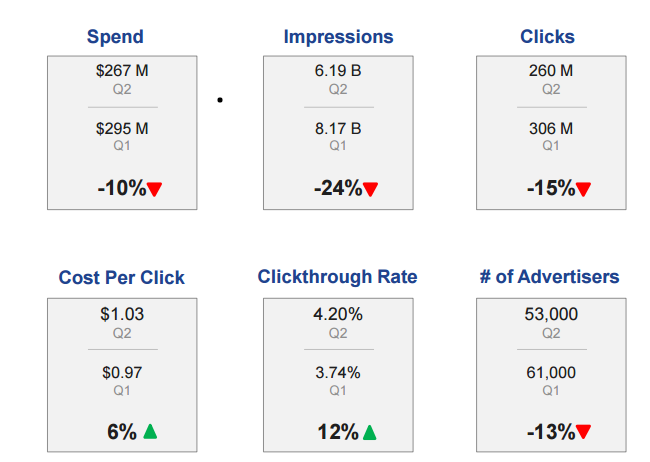 That rise in spend was driven largely by a 62% increase in click-through rates and a 21% increase in clicks year-over-year. 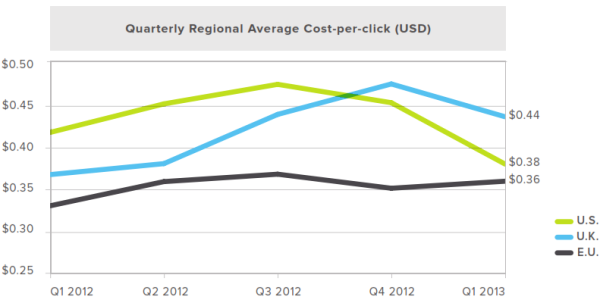 'search marketing' | Scoop.it: "The Search Agency has released an analysis of paid search trends in the US in Q1 2013 across devices and verticals. 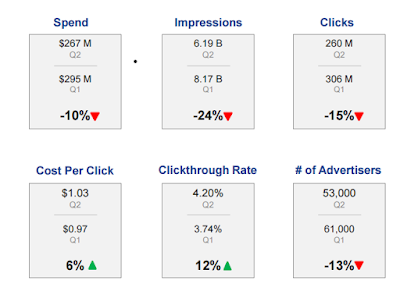 On a quarter-over-quarter basis, impressions were up 35.5% and clicks up 15.6%. 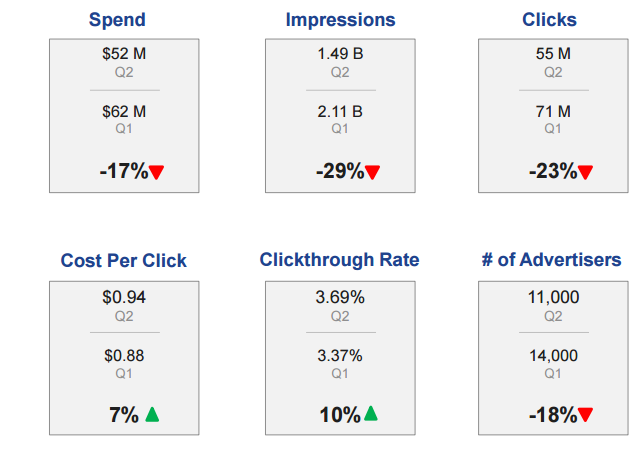 The data also reveals that while click-through rates grew by 16% year-over-year on average for all industries (to 3.15%), B2B companies saw a 21.6% drop (to 2.07%). 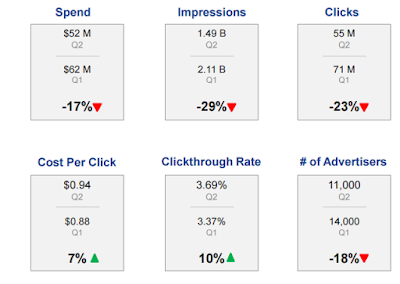 And as click rates dropped, costs trended upwards, with average cost-per-click (CPC) for B2B advertisers up 43.4% (to $2.20), compared with a more moderate 8.6% rise among all advertisers (to $0.76)." 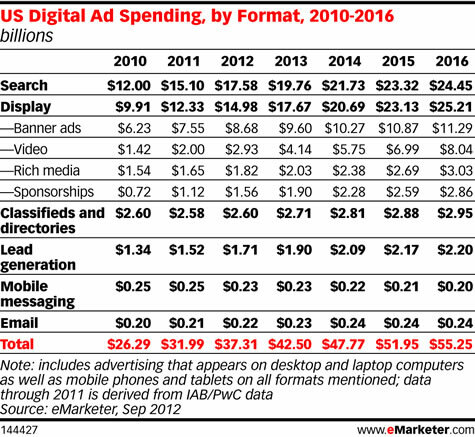 Google spending grew by 17%, though that trailed Bing’s increase of 42%. 21.6% of search budgets went to smartphones (11.6%) and tablets (10%), up 59% year-over-year, a trend consistent with every other report on paid search. 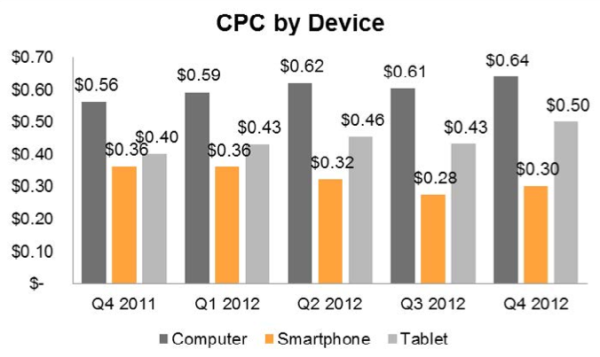 Overall, spending on smartphones grew by 68%, and on tablets by 135%. 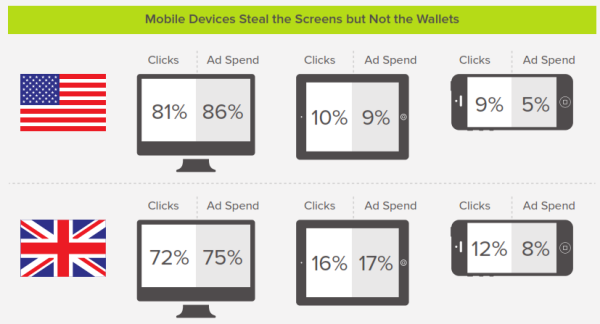 Smartphone impressions rose by 96% year-over-year, and tablet impressions by 74%. 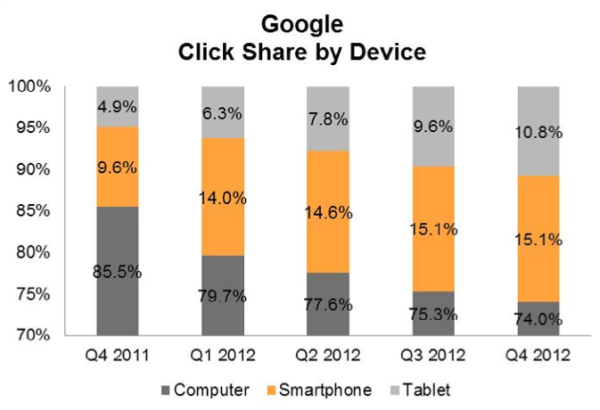 Smartphone clicks were up 86% and tablet clicks 98%. Bigger the brand, chances of it being linked back is higher, increase of incoming links , helps in the off page Optimization, with more links, comes greater traffic, and more backward links , which is a vicious cycle.. This is not a trend across Search Marketing but in Brick and Mortar stores too. Staples gets more users as compared to you street side shop, Walmart gets more walk ins that the Pop and Mom stores..
Once in every five times that someone clicks a search result, it goes to one of five websites: Facebook, YouTube, Yahoo, Wikipedia or Amazon. 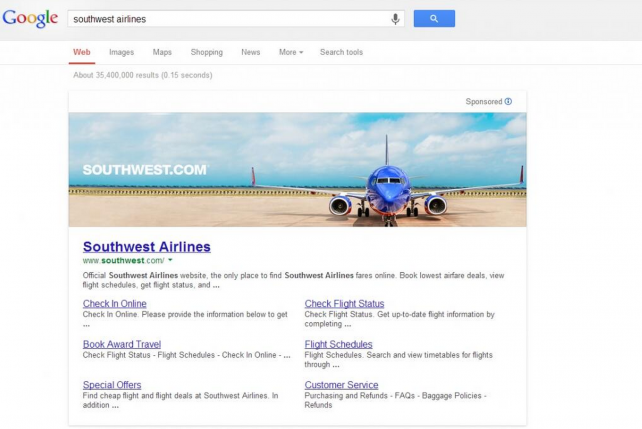 The remaining 80 percent of search traffic is where all other brands compete often between themselves and in the process increasing the Cost per Click .. Going further, the top 500 websites received almost 50 percent of all clicks from search results, and the top 10,000 websites got almost 75 percent of all search clicks. 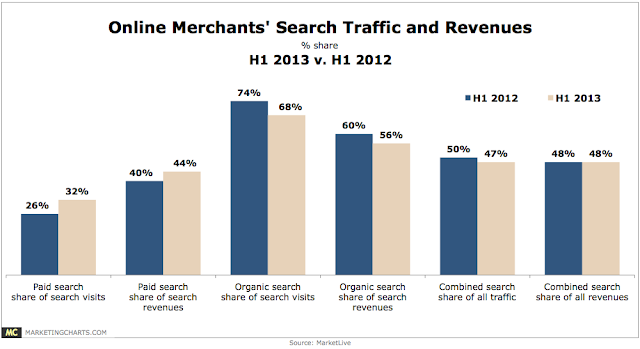 All of this is according to the 2013 Digital Marketer Report from Experian Marketing Services (Hitwise).